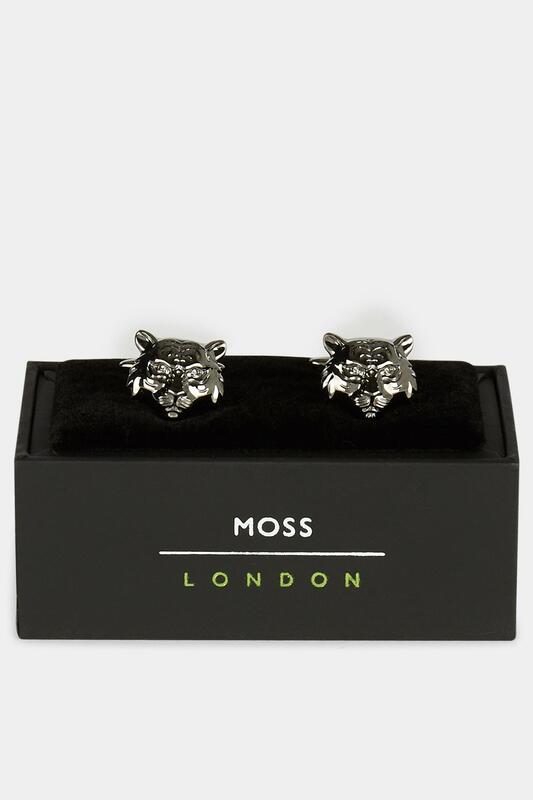 Go in for the kill wearing these cufflinks. 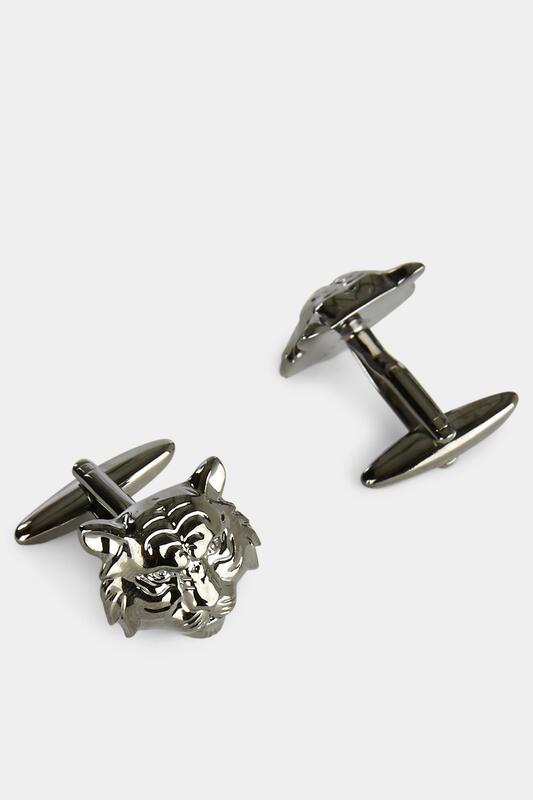 These are the cufflinks to choose if you want to leave a lasting impression. 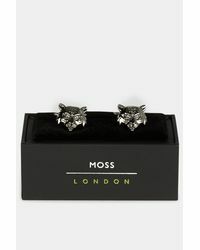 The bold tiger design is fiercely sharp – in a good way – and the gunmetal finish has urban appeal. 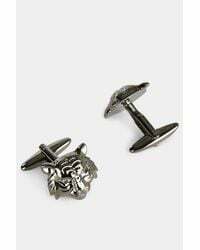 Wear with any double-cuff shirt, whether it's patterned or plain. Make sure your jacket sleeve doesn't cover them up as you'll want them seen. 100% Brass.